Recent scores include Rhymes for the Irreverent and no comet ever scratched the sky for baritone and piano (2017), One Sweet Morning (2011) a four-movement song cycle premiered by the New York Philharmonic and Stephanie Blythe, Conjurer (2008), for percussion and string orchestra, commissioned for and introduced by Dame Evelyn Glennie; Concerto for Violin and Orchestra: The Red Violin (2005), developed from the themes of the score to the film of the same name, which won Corigliano an Oscar in 1999; Mr. Tambourine Man: Seven Poems of Bob Dylan (2000) for orchestra and amplified soprano, the recording of which won a Grammy for Best Contemporary Composition in 2008; Symphony No. 3: Circus Maximus (2004), scored simultaneously for wind orchestra and a multitude of wind ensembles; and Symphony No. 2 (2001 Pulitzer Prize in Music.) Other important scores include String Quartet (1995: Grammy Award, Best Contemporary Composition); Symphony No. 1 (1991: Grawemeyer Award); the opera The Ghosts of Versailles (Metropolitan Opera commission, 1991); and the Clarinet Concerto (1977). In 2015 an orchestral version of Stomp was commissioned by Houston Symphony Orchestra. 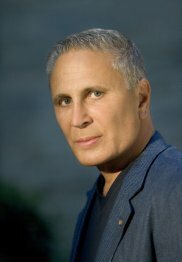 Corigliano’s music is performed widely on North American and international stages. In recent years his music has been featured in performances throughout the US and Europe, Caracas, Australia, China, Russia, Tokyo, Krakow, Toronto, Bosnia, and beyond. His eightieth birthday is celebrated in 2018 with performances far and wide.